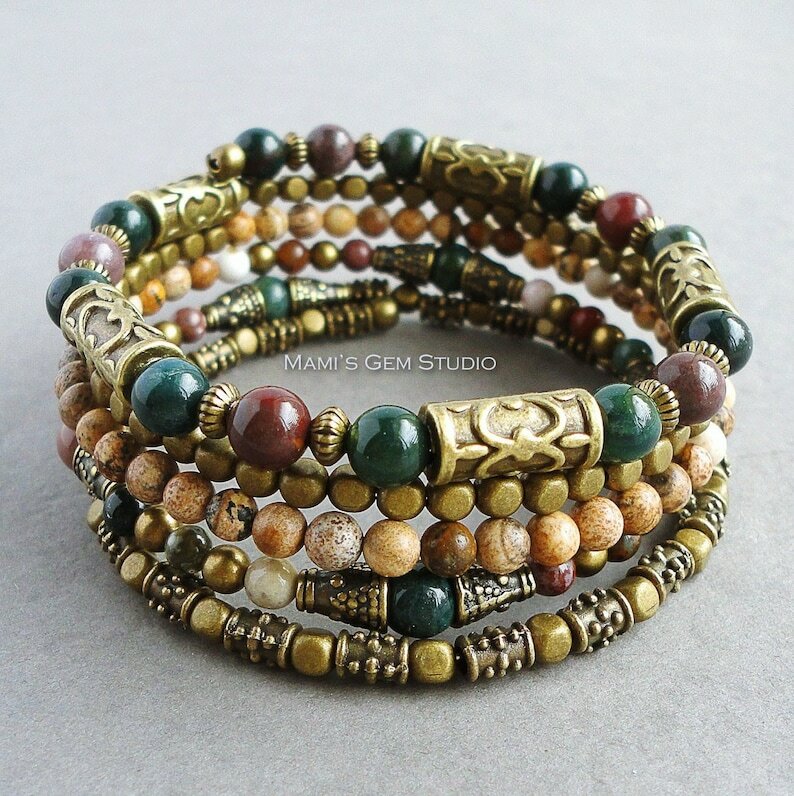 This gorgeous 5-loop memory wire bracelet was designed and handcrafted in my studio, using authentic natural stones: Bloodstone in deep forest green and mauve colors, Ocean Jasper in multi colors of mauve, green, cream, and brown, and Picture Jasper in wood-like looking earthy caramel and tan hues. I have added a lot of metal beads in antiqued brass finish to create a striking antique look with an exotic flavor. The soft and flexible memory-wire makes this bracelet easy to put on and very comfortable to wear. All metal materials are lead-safe. Terrific experience and workmanship. Arrived on time, beautifully wrapped and boxed.